Our stretch chino shorts are made of quality cotton blend stretch twill material to give your girl lasting comfort with a unique style during outings. These solid colored stretch shorts are made to knee length with an adjustable waist for great fit which guarantees waist comfort. 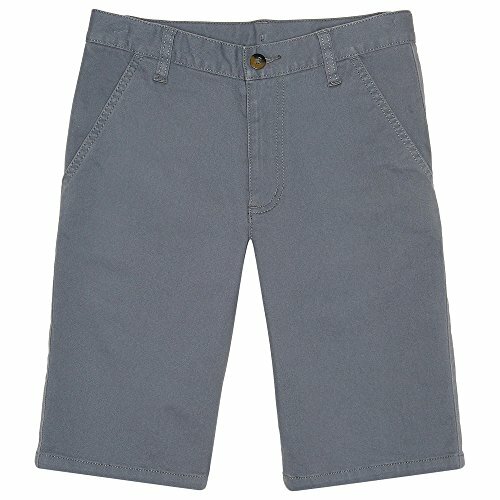 This stretch chino short features a distinctive design which offers functional front and back welt pockets combining it with a faux dark horn button closure with zipper for a gorgeously distinctive look your little boy will adore. This unique stretch chino short adds a classy and stylish appeal with a texture which is sure to help him standout among peers. Click the add to cart button for distinctive fashion style for your boy.